When the insurance company offers you a quote for your homeowners insurance policy, they come up with that quote by figuring out how much of a risk your house has of facing a major disaster. To figure out that risk, they look at a lot of things: how new your home is, the area where it’s located, your credit score, and many other factors. There are people who do nothing but figure out different things about people and homes just to determine how much risk they add to the possibility of a home disaster. Interestingly, there are a lot of factors that you can control in this process, and they lead to direct rewards from your insurance company in the form of lower rates. Each insurance company is a bit different in terms of the discounts they offer, but most of them offer some form of the following discounts for personal choices that reduce the disaster likelihood in your home. 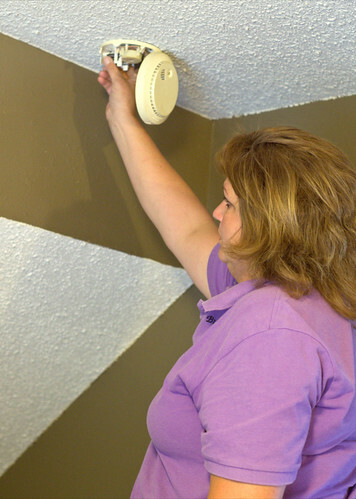 Protective devices Do you have smoke alarms? Burglar alarms? Do these devices automatically contact the police or fire department when signaled? Do you have secure locks and/or deadbolts? Each of these things can be installed by you at some cost, and each one is likely to be able to reduce your homeowners policy. Retirement Do you live at home or work at home? If so, you might be able to get a lower rate because you’re present at home more often and thus more able to avert disasters as they happen. I actually get a reduction because of this. I called up my insurance company and told them that I work almost exclusively from home and requested a reduction, and they gave me a small one. Non-smoking If you don’t smoke, your homeowners policy is going to be lower. When I was growing up, both of my parents were smokers, they lived in an old house, and thus their policy was very expensive. When my mother quit, it actually lowered significantly. If you need further incentive to quit, a lower-cost insurance policy might be just the ticket. You should contact your homeowners insurance provider today to ask what sort of credits they offer for personal actions you can take or home improvements you can make to reduce the likelihood of a home disaster. There are a lot of them out there and many of them are easy to achieve. Each one will save you money and reduce the chance of heartache in the long run.